Consumer Fireworks are legal under Federal law for consumer use, therefore we can legally ship fireworks anywhere in the United States. In order to be classified as "consumer fireworks", fireworks must be tested by the Consumer Product Safety Commission and meet various requirements with regard to composition, the quantity of pyrotechnic material, and the stability of the product under heat and stress. Once the CPSC has classified an item as a "consumer fireworks", the item is legal under Federal law for consumer use. 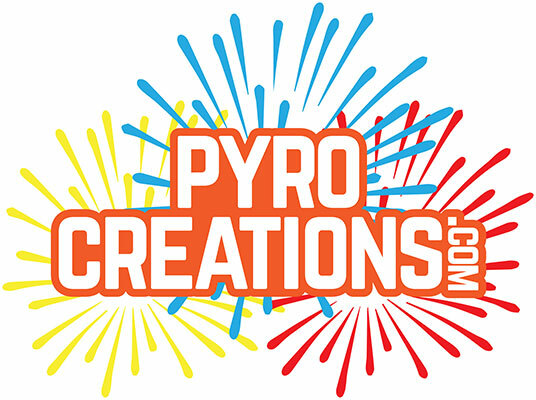 PyroCreations LLC sells only consumer fireworks that have been certified by the CPSC for consumer use. Because federal law applies to interstate commerce, we can legally ship fireworks anywhere in the United States. State and local ordinances may ban certain fireworks if you do not posses a permit to own and store those fireworks. As a result, the responsibility for complying with State and local laws falls upon you (the buyer). PyroCreations.com we will ship consumer fireworks via USPS Ground to the destination you specify. If you order items that are not permitted in your State or local area, it is possible for your fireworks to be confiscated by State or local authorities. If this happens, you assume complete responsibility for the confiscation of the products you order. PyroCreations will not refund money for confiscated items that were ordered in violation of State or local ordinances. We recommend you contact your State Fire Marshal or other authority having jurisdiction (AHJ) to obtain the necessary permits to possess fireworks legally in your area, if necessary.